General Owner of local Manors of Lilford, Papley and Warmington, Northamptonshire. Mother Hon. Elizabeth Grey (-1630) daughter of Lord Grey of Wilton. 1613 Marries the Hon. Margaret Goodwin, daughter of Sir Francis Goodwin, who was the subject of the "Goodwin Case" which drew a dispute in the early portion of King James I reign. Sir Francis Goodwin, was elected to parliament as MP for the constituency of Buckinghamshire, and James demanded that the House of Commons exclude Goodwin from its membership. However, the Commons claimed it should be the judge of its own election results, and James after some dispute pragmatically backed down. Prince Albert II of Monaco is a direct descendant of Sir Francis Goodwin. 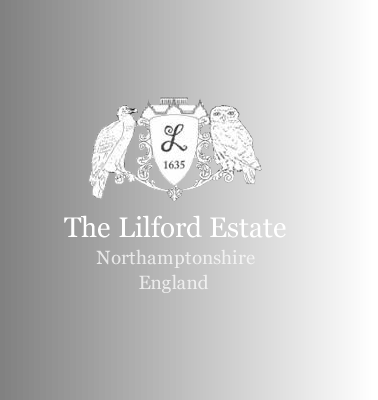 1632 Inherits land estimated to be around 10,000 acres in total and many properties (at today’s value worth around £100 million), including the Manor of Lilford, and starts to build the Jacobean part of Lilford Hall in a late Jacobean style. The wealth came from William Browne (William Elmes’s 4x great grandfather) and this was the basis on which Lilford Hall was built. 1635 Building of the Jacobean part of Lilford Hall completed. 1640 Appointed as the King's Commissioner for the County of Northamptonshire by Charles I. He was thus a Royalist, although did not fight in the English Civil War since this did not start until 1642, and he had died in meantime. 1641 Dies. His only child Arthur Elmes inheits at the age of 10, which probably accounts for Lilford Hall not suffering any damage during the English Civil War (1642-1646) since Arthur did come of age until after the War had ended. 1663 William's only child Arthur Elmes dies, and after two first cousins, Sir Thomas Elmes dies in 1690 and William Elmes dies in 1699, the Elmes family dies out, and Lilford Hall sold by Executors in 1711 to Sir Thomas Powys. Arms and Crest of William Elmes (see head of page). 7, Gules, fretty Or, on a chief of the second a lion passant-gar dant of the first (Spigornell? family).